What? Both sides regeneration is the same. So when they get points we get points. both people were only missing 1 AP to attack? No, when a person is capped at 25, the timer doesn’t go. Chance he could be capped long before keep? Well I hope the Portal Quest team and community reads this. 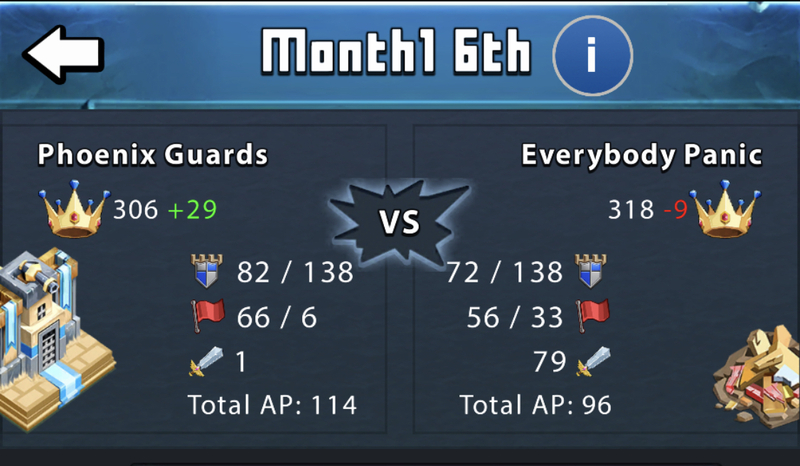 Its horrible to lose to a war, especially to a ranked 2 guild, that we had beat over a glitch. People put a lot of time, money, and effort into this game. Just to be beat by a glitch in game. You seem to be confusing me with suey. Orrrrr someone that actually cares about your opinion. I was on the entire time managing our last attacks as the whole incident transpired. Yes, both Antidote and Phoenix Guard has an attack glitch at noon EST, and yes these attacks came with 1 left in keep for both sides. However, we had a 1 hero clean left and you guys had a full line, plus we started our attack before you guys did. So it is unfair to say that you would have won the war had the glitches not happened - we would have finished first. Also we did not receive any AP back for the glitch, war points regenerate every 32 minutes starting day 2 and we finished you guys at precisely 12:32 PM EST. If you check the war logs you will see that you also received AP at that time; we finished before you could start your attack. The only way Phoenix Guards win that war is if we got the glitch at noon EST and you guys didn’t, now that would be Perblue’s glitch making the final decision. Our glitches cancelled each other out, not ideal but nothing to complain about and totally fair.